First, any US home would likely benefit from installing 5kW worth of solar panels. Solar panels are typically 77 inches tall by 40 inches wide, and are around 2 inches thick with a weight of around 50 pounds each. Each panel will generate around 315 watts or power, meaning that you will need around 16 panels to reach the 5000 watt threshold. Now, 5000 watts is just a starting point, and depending on your house usage, roof size and roof direction (pointing south is best), your home could end up needing more or less to be sufficient. A 5kW installation in the United States done by a professional is around $18,000. Well, this amount of money is never easy to swallow, but remember, these are long term investments into your home’s value. Not only will it increase your homes resale value, it will also lower your home’s energy consumption drastically. This lower usage will result in much, MUCH lower electric bills over the next 20-or-so years. Usually it takes anywhere from 8-14 years to fully pay off your installation, after which your solar panels will be creating free energy for your home. This cost will be reduced by the US government’s federal tax credit, and then even further if your local municipality has its own tax breaks. It is not uncommon for homes to eventually pay around $11,000 for a solar panel installation once all rebates and tax credits are applied. Use ThinkSolar’s Solar Report Card to see detailed information about your home’s exact location. 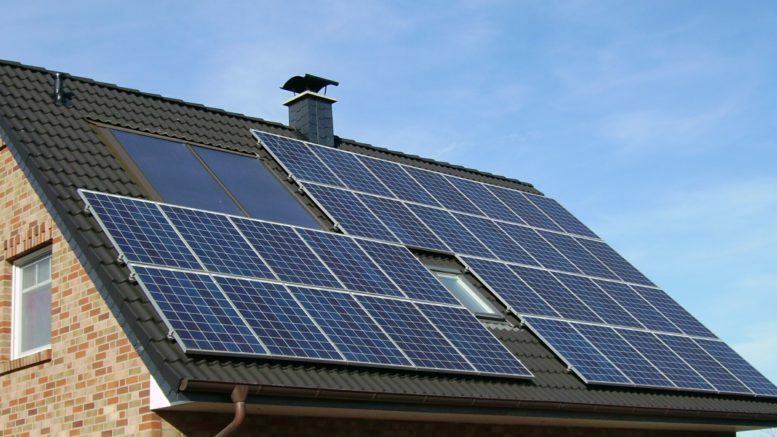 The federal government also offers incentives to homeowners for solar power installations in the form of tax credits. Currently, the tax credit is equal to 30 percent of the qualified costs associated with the installation of solar energy systems that serves as the taxpayer’s primary residence, including equipment and related labor. That means you may be eligible if you install solar panels on your home, but installation on vacation or rental properties do not qualify for these incentives. Should you attempt a DIY Installation? Not everybody can attempt a Do-It-Yourself solar panel installation, but luckily there are a lot of great professional installers out there. ThinkSolar.co also has a handy quote feature that allows you to get a quote from a trusted installer (beware… not all are). Interconnection. Big word, but it simply means that most electric companies will not let just anyone connect your new solar panels up to the electric grid. Most of the time (and it should be all the time) a licensed professional should do this. Some states will not allow you to collect rebates if you do this DIY. You should probably check with your local state to see what’s allowed and what is not. You don’t want to throw away good rebate money simply because you wanted to install a small system yourself.